THE MISSING MALAYSIAN Airlines plane has become almost an obsession, with everyone wanting answers about what exactly happened. Each day there are news reports about the plane going off course, speculation about the pilot and constant updates about satellite images of “possible” debris. There are more questions than answers, and we may never know the full truth. While everyone around the world waits for an explanation, people who have a fear of flying have seen their anxiety levels soar. One in six people are anxious about flying, but over 2.1 billion people fly safely, every year, on 93,000 flights daily. “When incidents like this occur, people who have a fear of flying can see a resurgence of the fear, that perhaps they thought they were managing well. We saw this with the Air France plane crash also. People speculating about what had caused it, with various media outlets reporting one thing or another, before we knew the facts,” said Michael Comyn CEO of Fly Fearless, who offers courses to help those who have a fear of flying. He is a certified Aircrew Resource Management Instructor CRMI and trains aircrew on aspects of flight safety related to effective communications, error management, Non technical skills and stress awareness and management. So, has he seen a jump in the numbers of people applying to take his course. “We are booked up until July,” he said, adding, “whether that is because of flight MH370 or not, I don’t know, but incidents like this one usually take time to manifest into fear for people,” he said. “Eight months down the road we should see the impact of this accident in the numbers coming to the course,” Comyn added. “When we first heard about the Malaysian Airlines flight we managed it from the first day, posting on Facebook the facts that we knew about the incident. That is what people who have a fear of flying want. They want to know all the details, every detail about what happened as it is the fear of not knowing that spurs on the fear even more,” said Comyn. He explained that his course is all about education and information, stating that people often have fears about the perfectly normal things that occur on a flight like funny sounds. However, Comyn said that the problem with air investigations is that they can take a long time. “With the Air France crash, there was a lot of media reports, and it took over five days to find the wreckage and more than two years to find the black box,” he said. Comyn said that accidents like the Air France and Malaysian Airlines flight can heighten people’s fear of flying, with people often becoming obsessed with watching programmes about them such as air crash investigation programmes. While it may not seem like a good idea to watch a programme about your biggest fear, Comyn said that it is very common. “If people insist on watching those programmes, I ask them to do one thing and turn the volume down, as the narrator will always say dramatic things like ‘the passengers didn’t know they were close to doom…’ and they rarely give an accurate portrayal of what actually occurred, most likely because the reasons behind air crashes can be straight forward and dull,” he said. 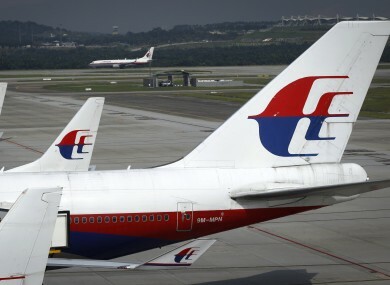 Comyn is critical of the media in the way they have reported on the Malaysian Airlines crash, stating that the round the clock coverage is just filling in gaps with baseless speculation. Comyn said that people who are afraid to fly go to great lengths to prove that their fear is right. “It is the brain trying to rationalise a situation. They come up with conspiracy theories because the brain refuses to accept it, that this has happened – but plane accidents are just that – accidents,” he said, adding that people with a fear of flying that he has dealt with often draft goodbye text messages to family members before they fly as well as leaving their wills out for people to find. “It may sound over the top to some, but people who are afraid of flying often want to prepared and in control of the situation,” he said. Comyn said that ever since 9/11, flying has becoming a lot more stressful for everyone. “Before 9/11, if you were afraid, you could ask to speak to the pilot, you would be asked up to the cockpit to have a chat, he would show you how everything works and most people then, when they are not in the dark about things, will be able to calm down, but now with high security, everyone is on edge, and why wouldn’t they be,” he said, adding that incidents like 9/11 and the Malaysian Airlines flight do make people scared, but he pointed out that people take risks in their lives everyday, adding that people die in more car crashes than they do air crashes. Comyn added, “Flying is a trust thing. You have to trust the people that are in control of the plane - the pilot and the crew. Similar to doctors, we put our lives in their hands and trust they are going to get us there safely, so when something like the Malaysian Airlines accident happens, and that trust is damaged, it does have ramifications for peoples’ trust in the sector as a whole”. He concluded, “if someone is fearful of flying, especially after recent events, try not to watch every programme and listen to every detail about what caused the crash. Let’s wait until we know all the details. The aviation industry prides itself on its safety, and the good thing about it is they learn events and they prevent them from happening again, but in the meantime, let’s just wait until we have the full picture about what happened to flight MH370″. Email “Fear of flying course booked up till July, but is it due to missing flight MH370?”. Feedback on “Fear of flying course booked up till July, but is it due to missing flight MH370?”.